Understanding the Magnuson-Moss Warranty Act | The Consumer Law Group, P.C. In order to protect consumers from deceptive warranties and to obligate warrantors to honor the warranties they issue, Congress passed the Magnuson-Moss Warranty in 1975. This law, sometimes referred to as the federal lemon law, requires manufacturers and sellers of consumer products to provide consumers with detailed information about warranty coverage. It also guarantees certain rights to consumers and enforces certain requirements of warrantors. It is the federal law that backs up state laws regarding warranty issues. 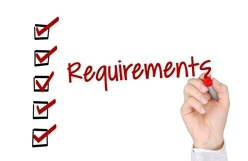 Warrantors must designate, or title, their written warranty as either "full" or "limited." Warrantors must state certain specified information about the coverage of their warranty in a single, clear, and easy-to-read document. Warrantors and sellers must ensure that warranties are available where their warranted consumer products are sold so that consumers can read them before buying. These requirements are in place to ensure that customers get complete information about what is covered under warranty before they buy a product and so that they can compare warranties provided by different manufacturers to make an educated buying decision. The federal lemon law applies to all products normally used for family, personal, or household use over $25 bought and sold in the U.S., but some state laws offer more specific protections and are therefore imposed more often than the federal law. As an example, Virginia’s Lemon Law applies specifically to the purchase of a new car that has a warranty claim that cannot be repaired in a reasonable number of attempts. While a claim can be made under the Magnuson-Moss Act for an unclear warranty or for a manufacturer’s failure to honor a warranty on a new or used vehicle, if the claim is for a new car, it will be more effective for the consumer to seek a remedy under Virginia’s Lemon Law. If you think you have a warranty dispute with an automaker, contact the Lemon Law attorneys at The Consumer Law Group, P.C. We will take a look at your issue and tell you the best course of action to take. Use the contact form on this page to get started or call us at 804-282-7900.